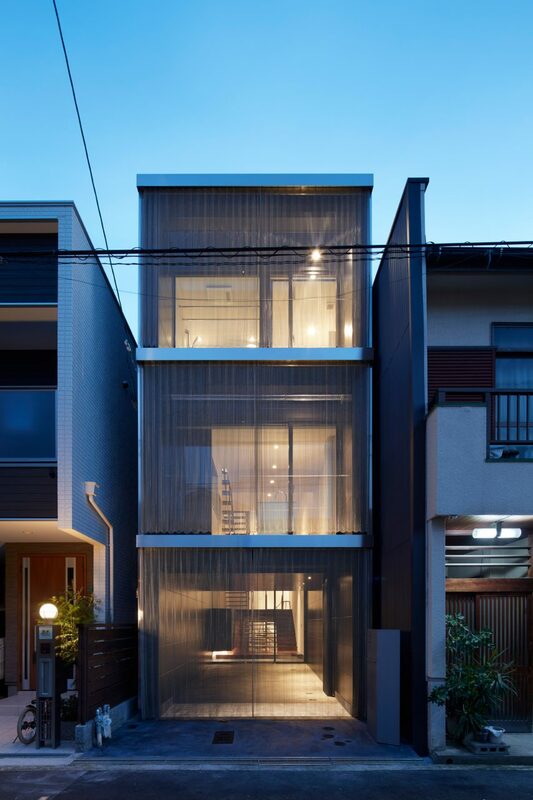 Metal curtains can be drawn across the windows of this three-and-a-half-metre-wide house in Osaka by FujiwaraMuro Architects, which features a split-level layout with multiple staircases. 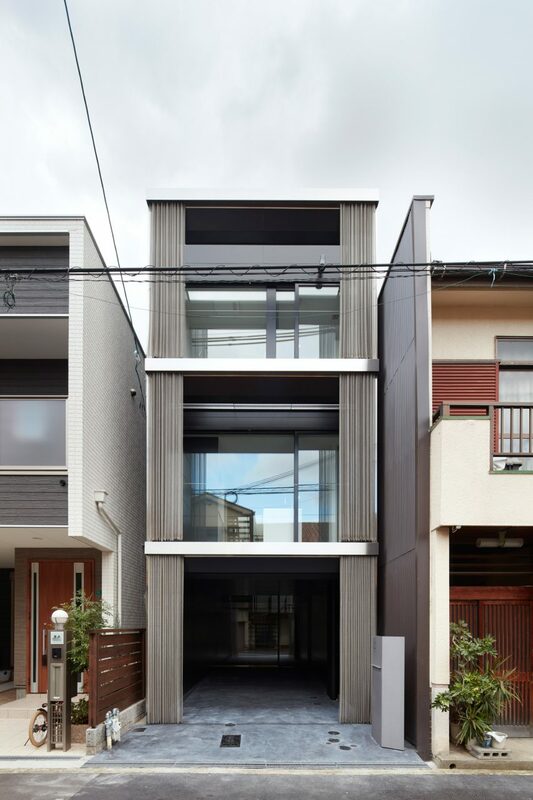 The local architects were commissioned to design a skinny house to replace a demolished building in the commercial centre of Honshu, which is known for its modern architecture. The tightly packed site and its urban setting called for a design that could provide plenty of natural light, without compromising the homeowner’s privacy. 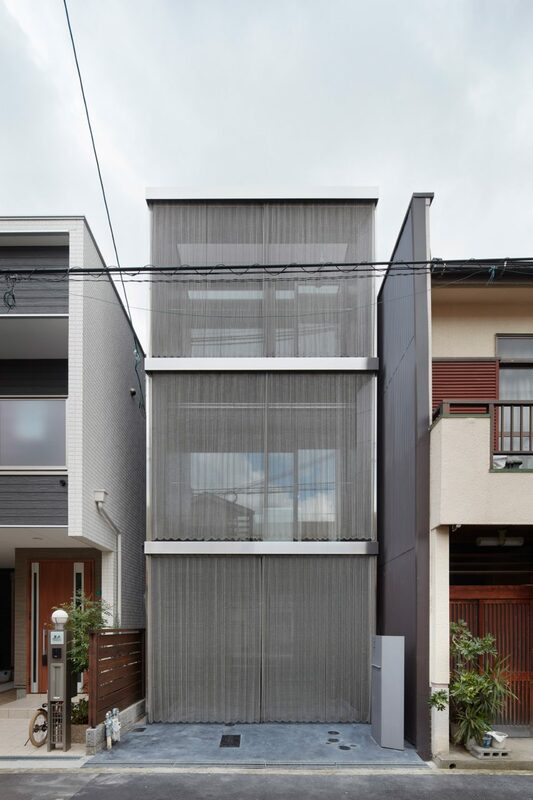 FujiwaraMuro Architects’ response was to create a slender three-storey house, with full-height windows set back from a stainless-steel chain curtain that lets in light while maintaining privacy. “While people tend to associate stainless-steel curtains with the hardness of metal, when used on a building-sized scale, they flutter in the wind and convey a surprisingly soft impression,” said the architects. “It can be closed to gently deflect prying eyes, or opened to provide a feeling of expansiveness, and at night turns into a glittering veil illuminated by the interior lighting,” they added. 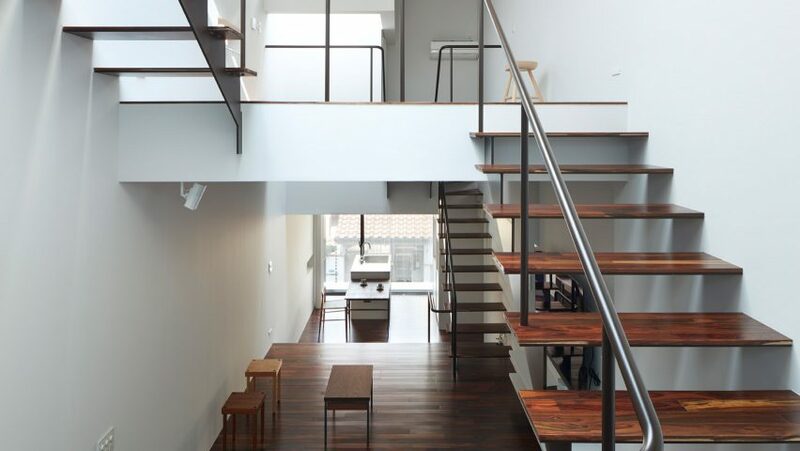 While the metal curtain provides plenty of natural light for the interiors of House in Minami-tanabe, the lack of a view meant the architects had to add interest to the interiors in other ways. “The nature of the site is ill-suited to gazing at exterior views, so we approached the interior as a landscape of its own,” the architects explained. The team distributed the living spaces across three split-level floors and a basement, creating a visually engaging interior – including a generous entrance, an open-plan living and dining area, along with two bedrooms, bathrooms and a roof terrace. 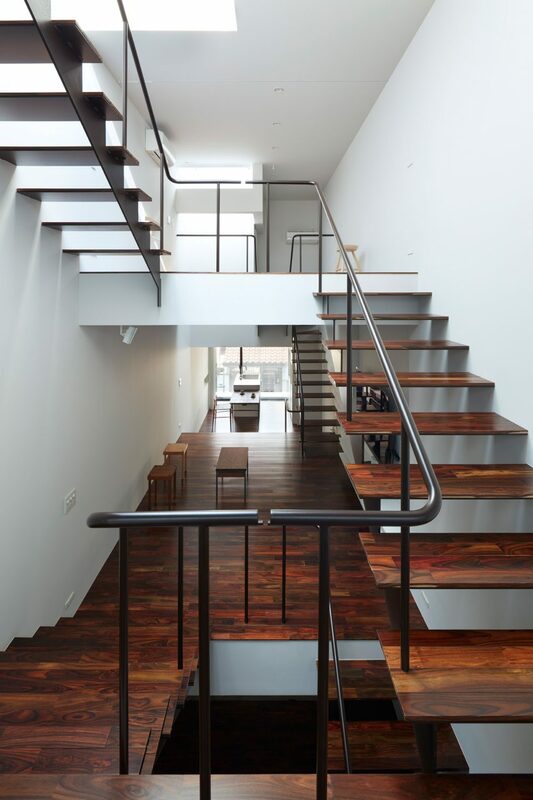 Multiple open staircases at either end of the skinny house connect these split-level floors, resulting in a series of circulation routes that encourage residents to wander through the house rather than “moving monotonously within it”. “Residents are able to stand or sit at various spots inside the house and enjoy this interior landscape,” added the architects. 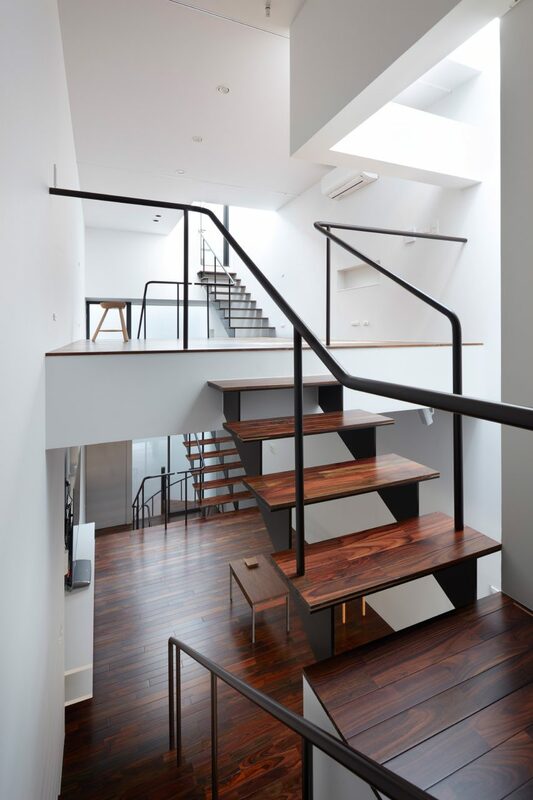 The main staircase circles a skylit void, creating a bright, open space that compensates for the lack of windows to look out of. 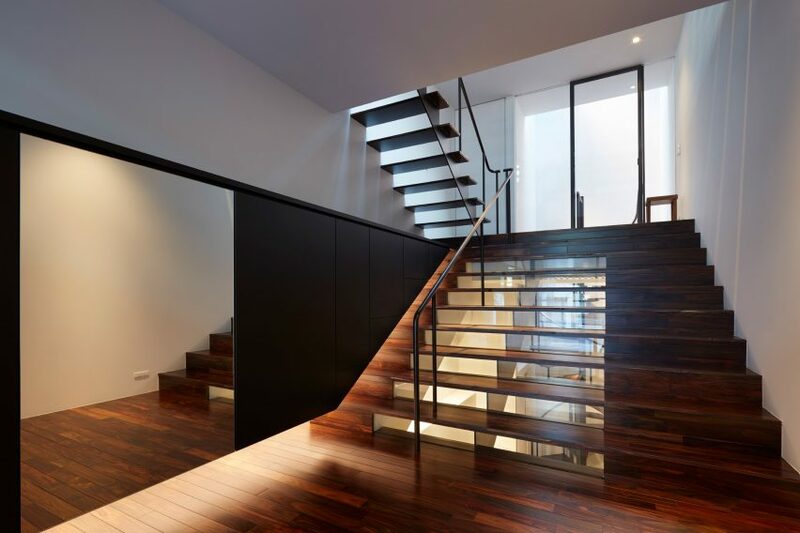 A contrasting spiral staircase leads to the basement, where a bedroom is secluded away from the openness of the rest of the home. Throughout the house, timber flooring is teamed with white walls and just a few pieces of furniture, giving it an uncluttered appearance. 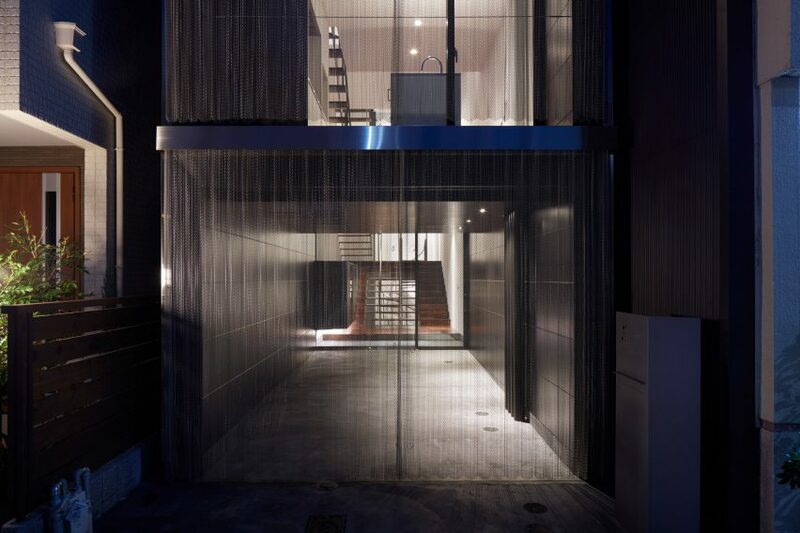 Problems with light and privacy are not uncommon in urban areas, and KC Design Studio recently faced similar issues when designing a house in Taiwan, which features a perforated facade and a lightwell to combat the lack of daylight.